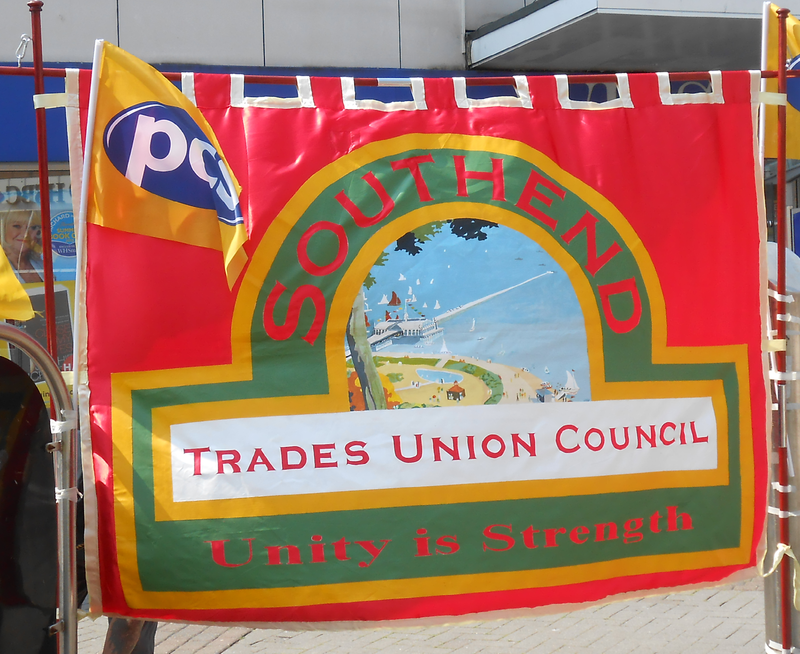 The Southend TUC applauds the most successful ﻿march and demonstration held in Southend in recent memory. Nearly 200 trades unionists, Labour Party councillors and members, students and other campaigning activists join together in protesting at the public spending cuts by the ConDem government. As many of the speakers at the rally commented, this demonstration is the beginning of a long campaign. We must always remember the maxim of the Labour Movement - UNITY IS STRENGTH! It was a great turn out today and I was very honoured to be a part of it. Comrades from Chelmsford, Harlow and Cambridgeshire joined us and many other trade unions and members of the Labour Party, the Green Party, Communist Party of Great Britain, the Socialist Workers Party and the Socialist Party were there too, It was also good to see many members of the public young and old join us too. This is just the beginning. They say cut back! WE SAY FIGHT BACK!! A good turnout on cold day. Excellent speeches, and this is just the start.